Tidworth Military Hospital was built in 1907. It had between 200 to 300 beds. It was conveniently located by the army training grounds of Salisbury Plains in South East Wiltshire. 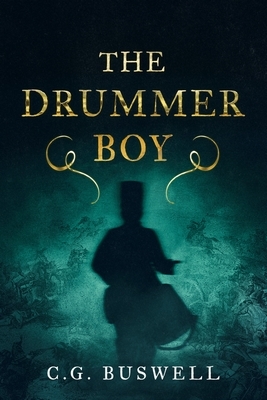 The Drummer Boy is my latest novel about the ghost of a Gordon Highlander Drummer Boy from the Battle of Waterloo who haunts a modern day army nurse. It is my interpretation of the Drummer Boy ghost that staff and patients heard at Tidworth Military Hospital. Chapters take place in modern day Aberdeen, at the Noose & Monkey bar and restaurant as well as His Majesty’s Theatre and Garthdee. Other scenes take place at Tidworth and during the Napoleonic War. A History of Tidworth and Tedworth House describes that by 1929 Tedworth House was used to accommodate nursing staff from Tidworth Military Hospital which had been built on the site of the old Delhi Barracks. As this building was being used as an Officers’ Club we presume that this would have been QA Nursing Sisters. The following photo was kindly provided by Terry Hissey and was taken in the Garrison Church. To the glory of God and in grateful memory of Cecilia Agnes Coats Staff Nurse QAIMNS who entered into rest Nov 2 1909. This tablet is erected by her patients Military Hospital Tidworth. She was mentioned in the London Gazette on 7 May 1906 as being appointed to Staff Nurse of the Queen Alexandra's Imperial Military Nursing Service (with thanks to Rosemary Jewers). Famous people born in the maternity wing include the former Life Guards Captain and now singer James Blunt. His father, Colonel Charles Blount, was an officer in the Army Air Corps. James Blunt's birth name was James Hillier Blount. (cited in the book Sub Cruce Candida: A Celebration of One Hundred Years of Army Nursing ). Parts of it remained open as MRS Tidworth (Medical Reception Station). Ghost Hunt at Tidworth Garrison Barracks. The old QARANC Officers Mess was known as Tidworth House and has now been converted into a Recovery centre by Help For Heroes. It is now named Tedworth House. In From Hell Island To Hay Fever RAMC Dr Bill Frankland describes working in a separate isolation hospital prior to mobilisation to the Far East in World War Two. His most notable patient was Major General A.P Carton de Wiart VC who was nicknamed the Unkillable Soldier, having survived the Boer War and WW1. Below are memories of Tidworth Military Hospital. If you would like to send your recollections for other Qaranc.co.uk readers to enjoy then please contact me. My stay was in the family ward, and the adult ladies who were patients got a bottle of stout every night provided their health permitted. Of course I didn't since I was not old enough. I do remember the Matron, although not her name, and the round of the ward she did every morning. I had been given auromycin during my last few days because I was not progressing as fast as I should. It had the unfortunate affect of making me sick about 10 minutes after I had taken it. The Matron came round, and I shall never forget her words: "I hear you have been having morning sickness!" There were a lot of titters at that, but one look silenced everyone. It all seems so long ago now. It occupied the Delhi barrack block, and had some wonderful nurses - I know this personally because being an army "brat" I was a patient there in March 1955 for 2 weeks suffering from pneumonia. I was treated very well, and can still remember how kind the nurses were. I was 15 and was very ill and scared, but they certainly helped to put my fears to rest. I do not remember any names, but one of the nurses had the most glorious red hair, underneath her cap of course! In the summer of 1959 my late Mother was a patient there for a hysterectomy, and was treated with kindness and compassion. The barracks are all behind barbed and razor wire so I do not know if it still exists in any form at all. I trained at there in 1965 and left for BMH Iserlohn in 66 – 67 and back in 1968. Colonel Gahan was our Commandant (Matron) and Captain Green was our Nurse tutor. I worked on Gynae & Families Medical and Gynae clinic. I also did casevac duties and we had regular training sessions on setting up a Field hospital for 2000 casualties. It was a great place to train – with our own ghost ‘The Tidworth Drummer’. In those days when you finished nights you could draw rations from the cookhouse to make your own breakfast in the Nurses home. I remember the long walk up to Nightingale House (Nurses home) after a hectic night duty clutching eggs and bacon! Happy Days and sorry it has been closed down. He was supposed to walk the corridors at certain times of the year - the corridors were concrete walkways under cover which ran past every ward and it was quite a spooky experience to be on nights because the wards were on the first floor and you had to come up darkly lit wooden stairs from the ground floor. Many times I have heard footsteps outside in the corridor and gone out and no-one was there or have heard footsteps coming up the stairs and thinking it was Night Sister have gone out to find no-one there. He was, I think, a drummer boy who was killed whilst walking the ramparts (which I imagine were the said concrete walkways) and it was reputed you could hear him drumming sometimes - I never heard him drumming but am sure I heard him walking on many occasions. I too was here from early April 1969 to March 1970, I left to marry a serving soldier but I remember it with fond memories and they were probably the best years of my life. I worked on the children's ward under the wing of a marvellous ward sister called Sister Birkett, I also worked on the male ward under a Major Mahoney who was so strict that most of us were afraid of her. I remember doing my stint of nights on the Children's ward and I agree with the person who said it was spooky; it most certainly was but I never saw the ghost thank goodness. I remember though that Nightingale house was haunted by the said Grey Lady though again I never saw the ghost, although my friend Jenny claimed to have seen something one night when we were nights off and she came screaming into my room babbling about seeing something in the bathroom. I was posted from the depot to 20 Company RAMC, known as Military Hospital Tidworth. After a few months, I was working on the Officers’ Ward when I was given the duties of supervising a young nurse fresh from the QARANC Depot; her name was Janet Lord, we eventually got married. While there I met a man called George Lugavarni. George was a remarkable man, in that he had grown up in an African Village and wanted to join the British Army. Having no money for the fare to the UK, he walked from Africa to England in just under twelve months - arriving here with only the clothes on his back, no shoes to his feet and not being able to speak any English. They must have been impressed with his journey, for they give him the Queen’s shilling and placed him on an educational course, where he learned to read and write English. 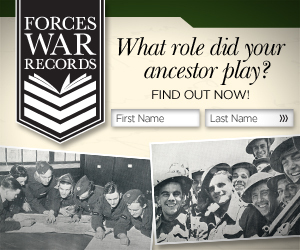 He then asked to join the Royal Army Medical Corps. We were accommodated in the same block, and I don’t think I’ve ever met a happier man. He informed me that he would stay in for nine years. In this time he hoped to save enough money to build a small hospital and medical centre back in his own village. When taking over a shift from George, it was a joy to read his reports, which were written in the old-style, copper plate writing. It’s these Georges that we meet in life who remind us how selfish we all are. Towards the end of 1962, I was asked to perform the ‘Last Offices’ on a patient that had passed away. I asked male nurse Tony Fry to give me a hand; I don’t think he’d seen a cadaver before, and was a little reluctant to assist. After screening the bed, I showed Tony how we washed, shaved and prepare a body for burial. After washing the front, I ask Tony to give me a hand to turn the body over. Tony was still reluctant, but assisted in turning the body and as we did so, the body expelled some air from the lungs, thus making a groaning sound. The great feat of Roger Bannister breaking the four minute mile in 1954 was nothing compared to the speed that Tony recorded that day! On the 4th of December 1962, Tony and Jan Lord both sail on HMS Oxfordshire on its last troop sailing. Jan and some other QARANC nurses were on their way to BHM Gibraltar, while Tony was one of the medics on the round trip and returned after the voyage. The winter of 1962/63 was very bad, with deep snow which was blown into high sided drifts by gale force winds. One evening we received a call for an ambulance to collect a patient from Bulford Camp which was nine miles away. The ambulance was an old Military type known as a K9; it comprised of a three-ton chassis with a box top, and was about twelve feet in height and painted green with the usual Red Cross signs on the side. There was a snowstorm blowing across the open country side between Tidworth and Bulford which caused snowdrifts of fifteen feet or more. About three miles outside, the civilian driver skidded off the road and into one of the drifts. The driver and I decided that it was not safe for one of us to walk back alone for help, and so we tied ourselves together with bandages and wrapping ourselves in blankets we set off to walk back. The blankets helped to keep some of the cold out but soon became damp and heave with a collection of snow. My feet were cold but dry as I had my boots on and the amount of polish that was brushed into the leather helped to keep them waterproof. The driver however, only had his shoes on and soon his feet were cold and wet. We struggled through the snow for nearly two hours just to walk the three miles back. We have covered about three quarters of the distance and by this time the driver was in a bad state and could hardly walk. I discarded my blankets and carried him piggyback fashion with his blankets encasing us both. Once back, I had a hot bath and changed into dry clothes while the driver was admitted as a patient for overnight observations. When I returned to reception the REME were waiting for me to show them where the ambulance was. We set off in their large Scammel recovery vehicle which was nice and warm within the cab. We travelled all the way to Bulford without seeing the ambulance. We turned around and slowly made our way back again. It was no good; the snow had buried this twelve foot green vehicle within a very short period of time. It was found three weeks later, and written off as being beyond repair. A few days later, I’d been to the NAFFI for my 10 o’clock break and was walking back to the reception when I heard a loud cracking sound then everything turned black. I woke up six hours later in recovery ward. There was so much snow and ice on the trees that one of the boughs had broken, falling on my head rendering me unconscious. I was very lucky, in that the bough only caught me a glancing blow on the back of my head, which shot me forward and away from further injuries. I was told later by the REME lads who removed the bough that it weighed nearly a ton. The winter of 1962/63 was recorded on record as the worst since 1740. It was so cold that Whitstable Harbour froze for half a mile out to sea. Members of Blackpool Football Club were photographed ice-skating on their playing pitch, and in parts of the UK the snow was so high that it covered the tops of telegraph poles. It was only a small village and there was very little to do there. Most people went to the cinema, which was run by the Army Kinema Corps. Douglas McLeod, one of the medics, worked at the cinema and would always save Jan and me our seats on the back row. With nowhere else to go, Jan knew she could always find me in the games room playing snooker with Sammy Shaw, Ken Brock, Pete Deck and sometimes Taffy Leek, just to name a few. In the library on a Tuesday night from 19.00 – 21.00 hours, Colonel Harston the Gynaecologist would hold a jazz club night. One night he informed us that he had been told by the Commanding Officer that he had to stop the junior ranks from calling him Tony. His next statement was to say that from this night onwards we had to call him Anthony. One evening, while I was on night duty in the casualty department, we received a call for an ambulance to collect a lady from Bulford and deliver her to the Maternity Wing. The nurse on ambulance duty that night was none other than Jan.
“It’s a Maternity case we’re collecting,” I told her. “What do I do if the baby arrives?” she asked. The trip went without incident, other than the woman being in such pain that she told Jan that she was useless as a nurse. I told Jan not to take to heart what the woman had said. All patients in pain say things that they don’t mean. Jan and I married in August 1965. In 1966 I was posted to the MRS at Taunton which still came under the administration of Tidworth. It was there that Jan told me she was pregnant. Time marches on as usual and early one morning I received a nudge in the ribs and a cry of, “I’m in labour.” Though I’d delivered babies before, I still ran around like a headless chicken, attempting to get her into the car and off to Musgrove Park Hospital in Taunton. Later that day, our first daughter, Annathea, was born. Her name being taken from both grandmothers names: Hannah was Jan’s mother, and Alethea being my mother’s name. I have many happy memories. I started my training there in 1974, and remained there until the end of 1975 when I and three of my fellow students were posted to Hong Kong. The story of the grey lady was one that I remember so well! My first ward was S1, which was male surgical under the keen eye of Captain Blundell -I was terrified of her, but her report at the end of my stay was staggering! The grey lady story was rife on the medical ward upstairs and none of us were too keen to enter the far end that was divided by doors from the rest - it always seemed terribly cold in there! I first lived in Cavell House and was later moved up to Highfields. All such a long time ago now, but also such amazing memories. I served there in 1976, straight out of basic training. I was allocated to the Children's Ward which was an allocation that I was not looking forward to. However under the guidance of a staunch ward sister and fatherly paediatrician I can say that I enjoyed my experience. I remember the story of the little drummer boy, it was said that he had died in the room next to the children's ward. We used to nurse the children who had their tonsils and adenoids out next to the said room. It was often talked about that the night nurses had heard him drumming whilst they were caring for the children on night duty. When we were posted here after our six years abroad, I had to get a job because of the loss of LOA (Local Overseas Allowance) as well as having to pay utility bills that had previously been deducted at source. I managed to get a job packing vegetables in little plastic trays at a shop on Station Road then went on to work at the Military Hospital as a civilian employee. Jobs were hard to come by in the area so I was very fortunate to get one! My job was in the Theatre Sterile Supply Unit cleaning, sterilizing and making up medical packs for theatre and ward use. We also prepared sterile trays for Porton Down. Whilst I was there, the specialist equipment for hip replacement operations pioneered by Mr Charnley and performed here and elsewhere were also sterilized in the unit. These operations were still very new but have had a huge impact and benefit worldwide. Eventually I left the unit to take up a student RMN post at The Old Manor in Salisbury, which has long since closed down along with the majority of the country's psychiatric hospitals. I really enjoyed my time in the TSSU as it also enabled me to watch several operations in the Operating Theatre - an invitation which was extended to all three of us civvies although I think I was the only one who took up the invitation! Read more about Mary’s earlier life as a QA and her posting with her RAMC husband to the Far East on the BMH Kluang page and her time in Germany on the BMH Rinteln page. Hello, I have just come across your lovely site with its stories about all the many military hospitals we once had all round the world. As a former army officer (1955 - 1991) and frequent visitor to many of them in UK, Germany and the Far East and who married a QA officer (as many of us did) I found it very interesting and nostalgic to read many of the entries and see the pictures. My own experience began with my Army Medical at Wheatley in 1955 which was fairly brief and clinical then my next much more pleasant, was in 1960/61 dating the nurses at BMH Kluang, a station miles from anywhere. Then came Tidworth 1963/64 where our unit lines were right next door to the hospital and where I was to meet my future wife although I didn`t know it at the time. Again there was not much, if any, night life in the garrison and so it was a close kept secret among a few of us that a good and reliable place that was always open and where one was usually guaranteed a good late night cup of coffee and interesting chat was the Maternity Department of the hospital. There I fondly remember being told to `hold this little one for a minute while I put the kettle on` or on another occasion, `careful! don`t sit there, that's not a cushion`. This soon developed of course into groups of us getting together in off duty times to savour the delights of the pubs of Salisbury but no firm attachments resulted. Early in 1964 one of the QA`s was summoned to the Matron`s office to be told to go on immediate leave and be ready to fly to Singapore where the BMH urgently needed a midwife. This duly happened only when she arrived she was promptly put to work as a theatre sister being kept busy treating casualties coming back from the Borneo Operations which were going on at the time. Fortuitously for me, my unit and several others were shortly thereafter also moved out to Singapore to relieve those units which had been in Borneo for some time. On arrival and while we were settling and getting ready to go to Borneo, we were looking for somewhere to go one evening when I remembered this QA whom we had known in Tidworth, So I rang the QA`s mess and asked if she was there with a view to seeing if she and any others might like to join us for a meal out in the city. Happily she answered but said No to the invite because they were having a party at their mess but that we should come and join the party. This we did with alacrity and a good time was had by all. The outcome was that we kept in touch for the four months we were on operations and we subsequently got engaged and were married on 29 May 1965 in St John`s Garrison Church Singapore followed by a super reception in the QA`s Mess. I think both our parents were a bit disappointed that we decided to tie the knot out there (no cheap flights those days) and also a bit apprehensive as Kathrine showed me a letter from her mother saying ‘I hope you know what you are doing!’ I think we did because our marriage lasted 47 years until Kathrine died in 2011. She would have loved to have seen your site and I know that she would have written a few happy memories on it too. Best wishes and thank you for running it. Keep up the good work. John Collar. I was working as a civilian armourer at RAF Chilmark when the we had the winter of 62/63. I had previously been released from Tidworth hospital after a bad road accident at that time working at the CVD Ludgershall, the nearest hospital being Tidworth and that was where they took me. I was told that Tidworth was not an Orthopaedic hospital and it presented a bit of a problem because they had no one experienced in broken bones. Anyway, a Colonel Dignan (one of the Queen’s surgeons) operated on my badly fractured and splintered Femur, I was on the table for rather a long time and was told I lost more blood than I had in my body. (I was informed later that had I gone to a civilian hospital they would have amputated) Anyway I came out of it OK but a Captain who sadly I cannot remember his name came to me with a medical book and said for the traction I needed he had to go by the illustration in the book and said if there was any way I could improve it to tell him, which I did. I spent a long time in the hospital recovering. We had a Matron who was a major and known as Auntie Jean (she always insisted in me taking iron tablets because I looked anaemic which I wasn't), there was also a Scottish Captain who once again sadly I do not remember their names and any info on them would be gratefully received. After they felt I was fit enough to leave, which at the time they were reluctant to do (they had to replace the Steinnman pins late on because the first one had started to come out and I could have hanged a hat on it). I got to the stage where I was off crutches and didn't use a walking stick and felt ready to go to work. At 7:30 in the morning with heavy snow and ice I went to help a lady who had slipped up on the ice to get up, instead I slipped up and fractured my Femur again. I told them I wanted to go back to Tidworth (with good reason), it took from just after 7:30 AM until 11 AM to get me there due to the snow and ice with snow falling all of the time. I arrived and was in the reception when a Major Boyd came to see me, he said I see you have been here before, would 2 PM be suitable to me for my operation and I agreed. Once again, I spent rather a long time in incarcerated and once again reluctant to let me go and said they wouldn't release me until there was no possible chance of anymore snow falling, this took me well into the spring. At Christmas they held a do at the Garrison Theatre and we attended beds and all. They wrote and sang Military Hospital Tidworth Calypso and I got a mention in it (at that time I was the only civilian in that part of the hospital). I think the first line went "Military hospital Tidworth, North of Salisbury Plain"
I ended up with a 15 degree rotation of my leg and a leg a little shorter than the other (they said but it turned out later in life that the accident had twisted my spine). If I could live life over again although many times I was delirious with pain I would go through the whole thing again. It was one of the happiest times in my life, might sound odd but true. The atmosphere was fantastic, and all the nurses and staff were superb. The surgeons showed me all the X rays and explained everything. I was also told they had a bed already booked for me on the following Christmas. Many of the goings on there would not have been acceptable in a civilian hospital (been in them). There are so many tales I could tell about my stay but it would almost take a book. It was very sad to hear the Tidworth had closed. Should anybody who was there at the time can remember a long haired looking like a gangster chap in a corner bed and can shed any light on any names that I may have forgotten it would be nice. Now in my late 70's I can only thank from the bottom of my heart the care you took of me. It was wonderful to say the least. Sadly none of the QARANC.co.uk team served here and would love to expand this page with more details and include a photograph. If you are a former or serving member of the Queen Alexandra's Royal Army Nursing Corps we would love your help.